Antonio (Tony) Cobos – Sharp & Cobos, L.L.P. Tony Cobos is Specialty Certified by the Texas Board of Legal Specialization in Administrative Law. He has represented many clients before various health care licensing entities, as well as represented numerous clients in contested cases at the State Office of Administrative Hearings and in many peer review, state and federal Medicare reviews and Office of Inspector General actions and hearings. 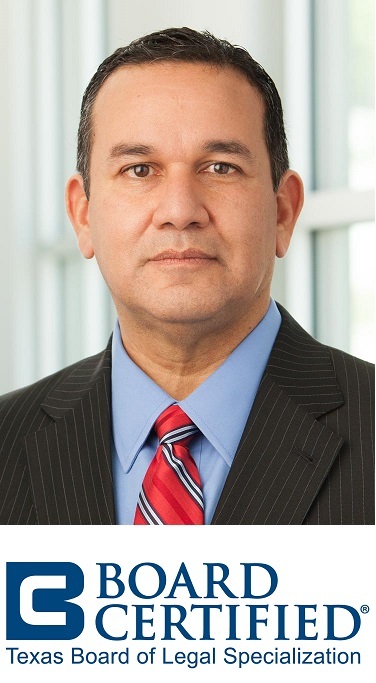 A native Austinite and graduate of the University of Texas at Austin undergraduate and law schools, Mr. Cobos has over 24 years of experience in health care disciplinary matters, including over 9 years legal experience at the Texas Medical Board. Mr. Cobos was promoted to the Medical Board’s highest legal position, General Counsel, in 1996. During his 9 year tenure, one of the longer tenures served by any attorney for the Medical Board, he participated in hundreds of disciplinary matters and advised the full Board on many issues. He also served as lead counsel for the Licensure Committee of the Board for many years. He also advised the Physician Assistant and Acupuncture Boards. After successful employment at the Texas Medical Board, in 1999 Mr. Cobos joined long-time health care practitioner Michael Sharp for the formation of Sharp & Cobos, P.C., a boutique firm dedicated to the specialized and personalized needs of every health care client. In addition to his extensive administrative experience listed above, Tony has also litigated administrative cases at the State Office of Administrative Hearings through full trial hearings as well as the SOAH mediation process. Sponsor: Texas University and College Counseling Directors Assoc. Sponsor: Sarah von Rosenberg, Ph.D.
5.01(a) Board of Director Reporting Requirements. Texas 5.01(a) Alliance News. September/October 1998. Since 2003, Mr. Cobos has served as a Board member and legal advisor to Samaritan Health Ministries, a faith based non-profit health care clinic serving the uninsured and indigent community of Cedar Park, Texas. Mr. Cobos has been married for over 23 years to Delma Cobos, a Registered Records Administrator (“RRA”) and Certified Coding Specialist (“CCS”) in medical coding. He and his family are active members of St. Williams Catholic Church in Round Rock, Texas and enjoy spending time with their twin daughters and son.